- Hard Rock Hotel Ibiza operates an over 18s policy. - Anybody over 16 years must be accompanied by an adult. - Opening times are not fixed and may change on the day. The event finishes at midnight. 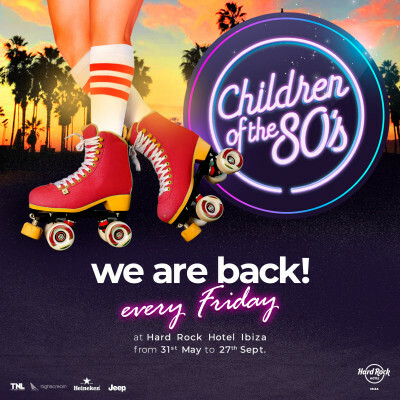 - Hard Rock Hotel Ibiza will not be held responsible for adverse weather conditions. - No re-entry allowed, once you exit the venue, you will have to pay again to access. - Keep your ticket until the event has ended.